The leading Malaysia 3D printer solution provider. Whether your looking for 3D Printing Services, or to bring the remarkable capabilities of a 3D Printer in-house, Trinventor Solution has the solution for you. Our range of 3D Printers addresses the major areas of use. We carry 3D Printers for concept creation, 3D Printers for Rapid Prototyping, and 3D Printers for production. Trinventor Solution is your 3D Printing solution provider of choice. We are uniquely positioned to offer the most comprehensive range 3D Printing solutions, for commercial, academic verticals and even hobbyist across Malaysia. From the affordable desktop 3D printers, to the advanced capabilities of Professional 3D printers, we provide a comprehensive range of additive manufacturing solutions capable of meeting even the most demanding applications. As a Leading 3D printing solution provider, Trinventor Solution continues to be the go-to provider for organizations are looking to best leverage additive manufacturing to enhance their business. We really do care about the customer, we create value by improving our client’s business performance, creating long-term, win-win relationships, and focusing on execution excellence. 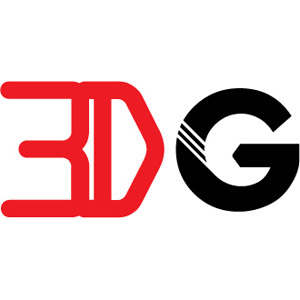 Trinventor Solution | 3D Gagdets provides comprehensive products and services, including 3D printers, Filament, software, Printing services and so on. Through years of experience in 3D printing we have been supplying to University, Architecture Industry, Product Design industry and many other Industries in Malaysia.